When the sun is shining and the birds are chirping, the barbeque invites start arriving. The spring and summer seasons bring with it many reasons to celebrate, such as St. Patrick’s Day, Easter, Memorial Day, & Fourth of July, to name a few. 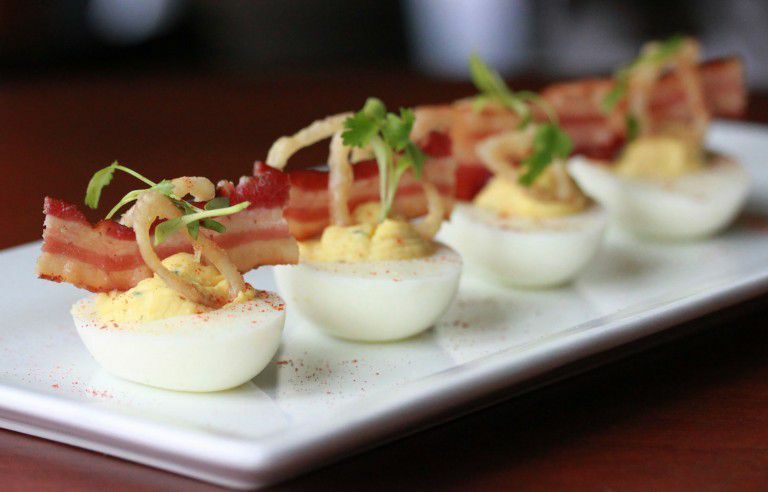 We know you want the appetizer you bring to the party to be the biggest hit,so we are sharing the recipe to the famous Deviled Eggs from Esquire Grill on 1oth and K in Sacramento, CA! Sieve yolks and combine remaining ingredients.